Once again someone wanting to remove the four lower Snake River dams has missed the mark. I am referring to Bert Bowler's Dec. 9 letter to the editor. Judge Redden's narrow view on the issue was not helping solve the problem. Don't be fooled by the misleading opinions the dam removal people try to pass as facts. 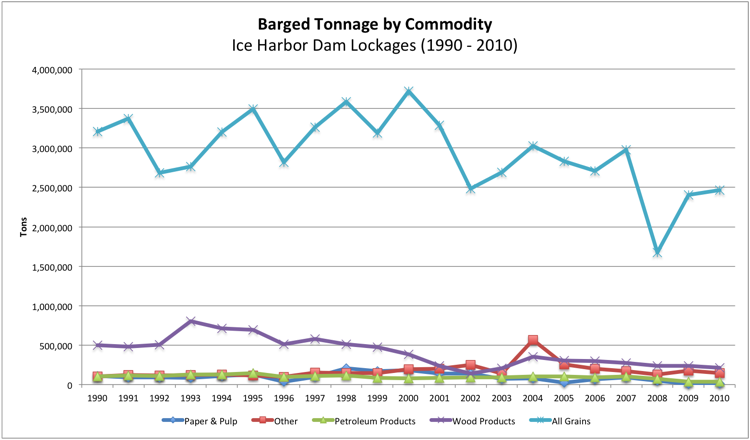 Removing the Snake River dams is a really stupid idea (yes, I said stupid). The loss of recreation on the river and flood control would create a hardship on the people of the region, not to mention the commodity movement up and down the river. I am one of the countless sportsmen who use the river for fun. I love to fish and camp on the great river. Mr. Bowler says that navigation can be replaced by rail and some improvements in highway infrastructure. This is wrong-headed thinking. In 2007 total movement on the river was 5.45 million tons. At first glance this might not seem like much but consider the fact there are almost no railroads left in Eastern Washington. A semi-truck can haul only around 30 tons, so you can see that this is a bad idea. Money spent on fish protection is having a positive effect as evidenced by the record runs in the recent years. The Snake River dams generate power that is used by more than just the people in the region and it cannot be replaced by wind power because the wind doesn't blow all the time. We need both to work together to do the best job for the entire West Coast. I have talked to real fish biologists who tell me removing the lower Snake River dams would kill more fish than it would save. Why do those for dam removal want to take out the dams that have fish ladders and leave in the one dam that doesn't have any? I am referring to Hells Canyon Dam. If the four lower dams are wrongly removed the fish still cannot get past this dam to continue up river and spawn. The removal of the Hells Canyon Dam makes more sense to me. There is no real benefit to taking out the lower Snake River dams so this makes me wonder: What is the real reason some want to remove the dams? The majority of people who want to remove the dams do not even live in the area so what is their motivation? Common sense dictates we keep the dams and the last four presidents of the United States of America agree.